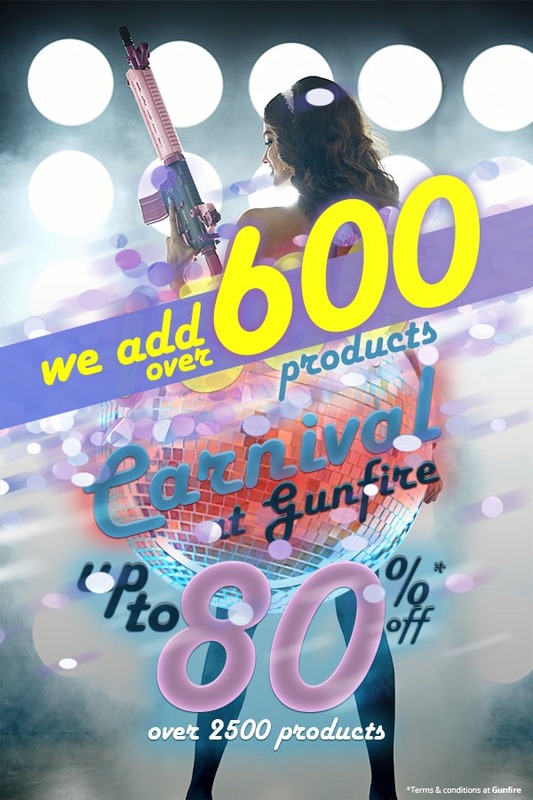 Last days of the Carnival Sale are great opportunity to grab really nice discounts and save big. 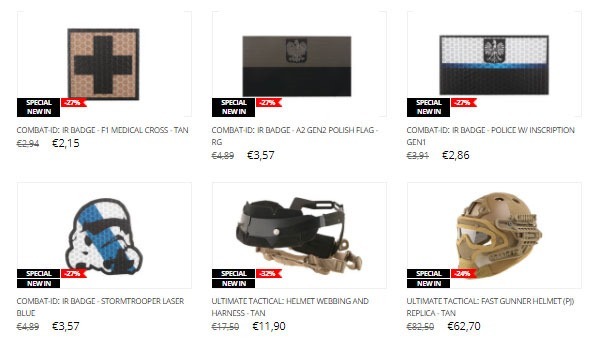 To make it even better we have just added to the special offer over 600 new products. 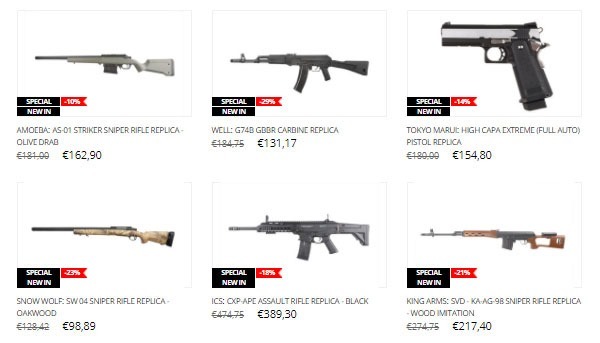 Additionally, there are still 2500 up to -80% waiting for you. 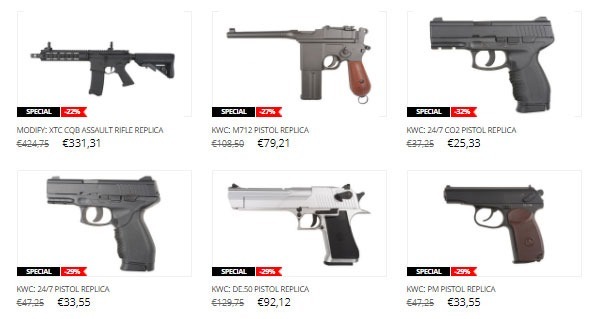 Among them, you will find a wide range of replicas, including SVD sniper rifle – KA-AG-98 from King Arms characterized by durable construction and rigorous appearance, popular JG068MG and JG206 submachine guns and the JG1338 carbine. 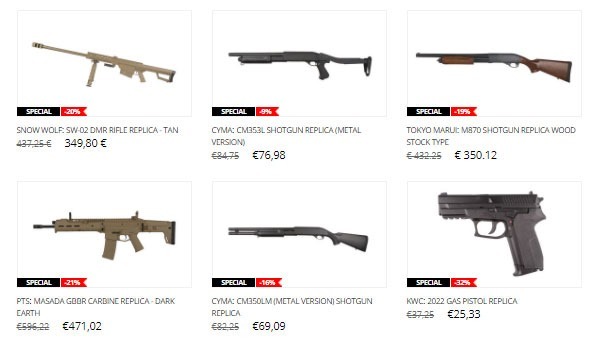 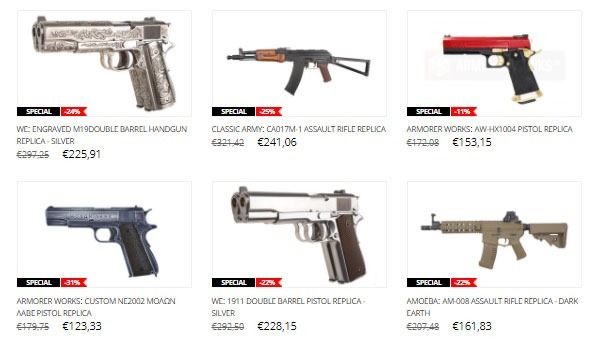 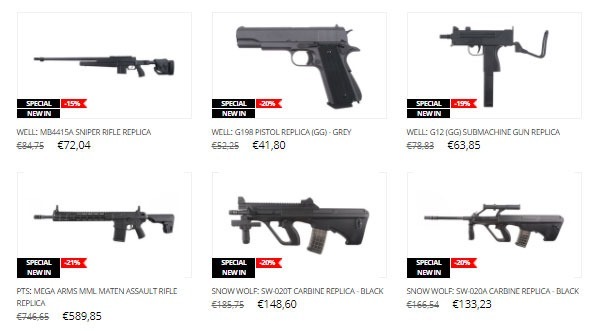 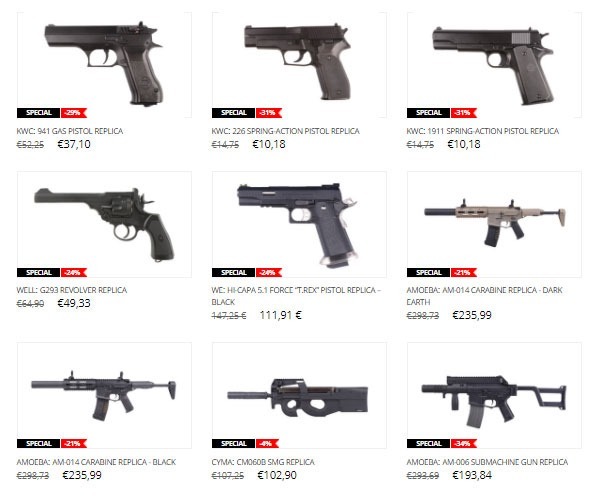 We have also lowered the prices of the iconic Tokyo Marui products, including shotguns and pistols. 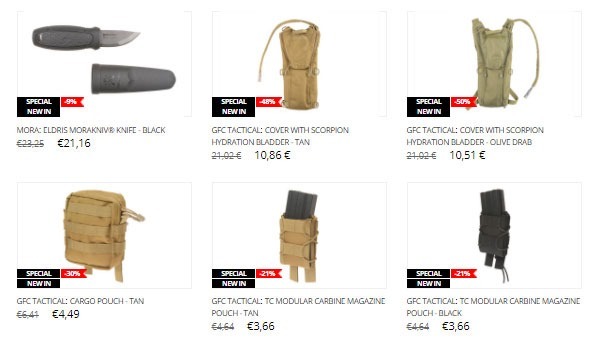 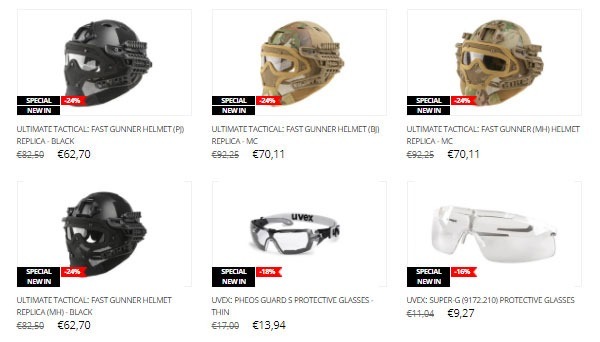 In the special offer, you can tactical equipment like the Split Front Chest Rig gen. V tactical vest with pouches featuring sewn-in grips made from shock-cord, a sniper bandolier with three pouches or uniform sweatshirts up to 50%OFF. 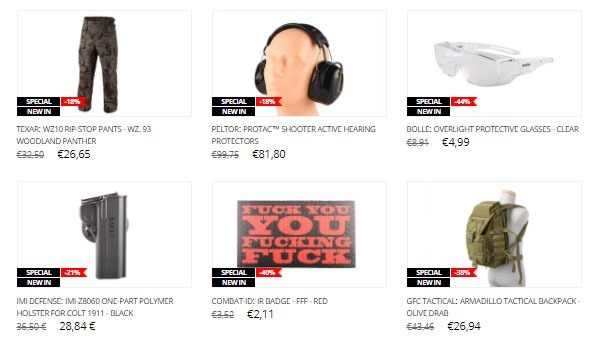 If you are looking for spare or tuning parts, we have good news for you. 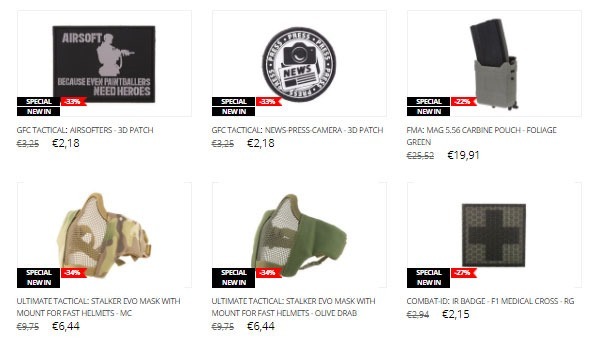 The new products on sale include hop-up buckings and silencer adapters from Airsoft Pro as well as cylinder heads, cylinders, and nozzles from SHS. 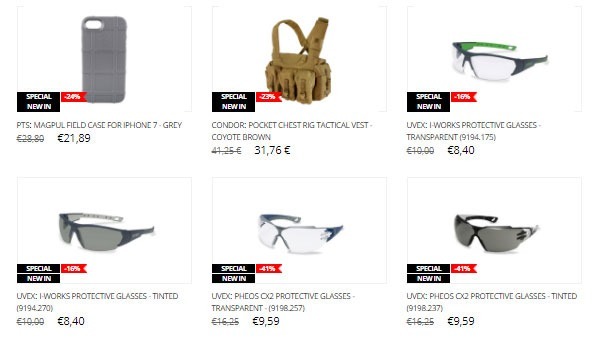 Do you want to grab interesting products at very attractive prices? 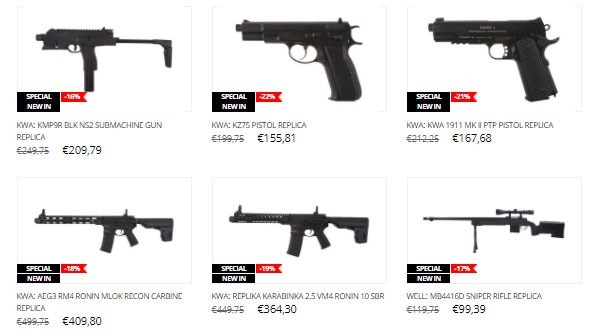 Don’t wait and check our offer now. 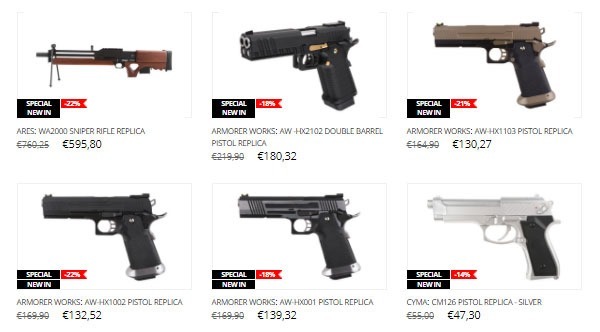 The full offer is here.